BIRN, CIN Montenegro and Monitor magazine organised a training course on data journalism for Montenegrin journalists on October 10 and 11 in Podgorica. 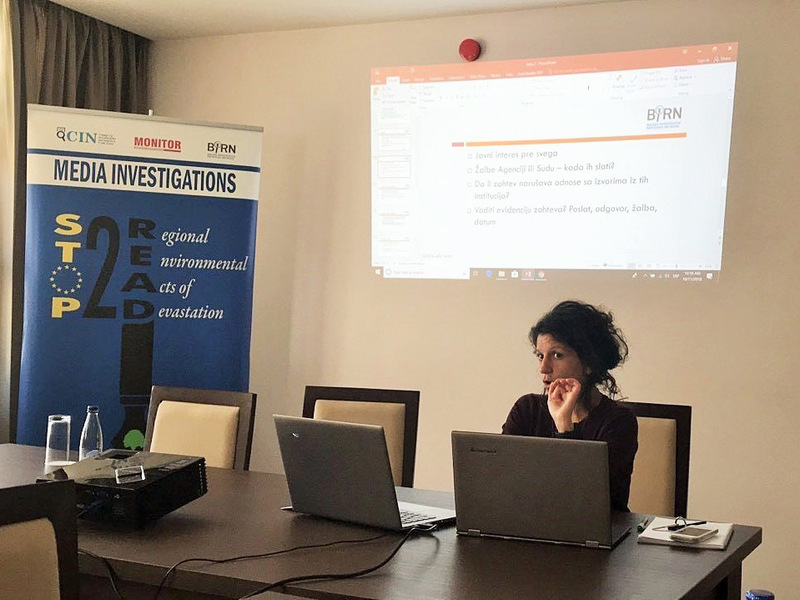 The training was held as part of the project Media Investigations: Stop to READ (Regional Environmental Acts of Devastation) which aims to strengthen investigative reporting in Montenegro. Training topics included national and international databases and registries, their importance in investigative journalism and practical instructions on how to gather data and how to use them for writing stories; freedom of information laws and how to obtain data using them; tips and tricks for browsing, and using social networks in data journalism. The training was held by Milka Tadic-Mijovic (CIN Montenegro), Dusica Tomovic and Jelena Cosic (BIRN Hub), and Slobodan Georgiev (BIRN Serbia). The project was funded by the EU Delegation in Podgorica.